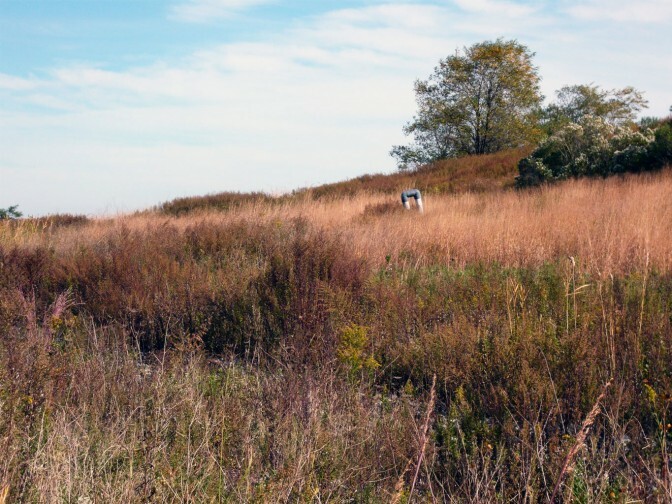 Work by several artists will be installed and realized at Freshkills Park this summer as part of the art-research project Field R/D. This phase of the expansive and collaborative project is made possible thanks to a Shelley and Donald Rubin Foundation Art and Social Justice Initiative grant award. Participating artists include Lize Mogel, Mary Mattingly, Nancy Nowacek, Steven and Billy Dufala, and the team Audrey Snyder and Joe Riley. The series is co-curated by Mariel Villeré and Dylan Gauthier with photographs by Natalie Conn.
With Nancy Nowacek’s “Field Work,” performers enact choreography created from labor forms from agriculture, industry, and scientific research, countered by choreography composed from forms of discard. 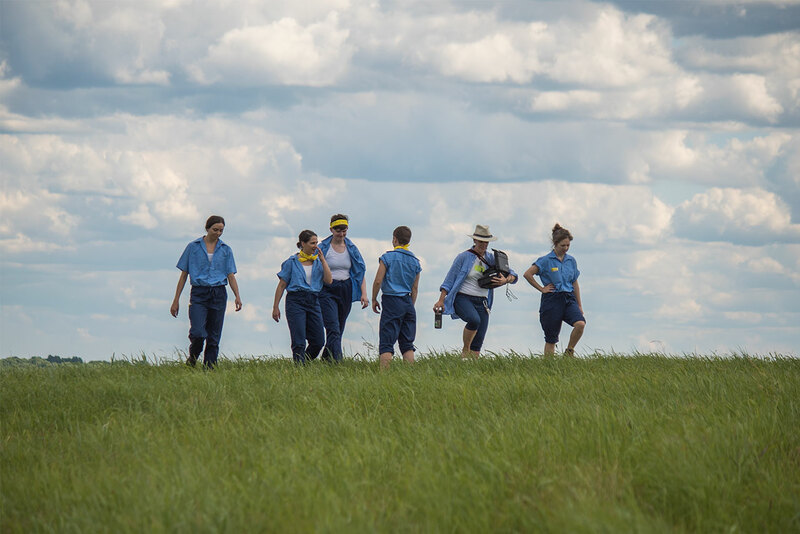 First performed at “It’s Happening” in Central Park with Morgan Hille-Refakis in October 2017, the project explores the evolution of labor and land through gestures and re-connection to the environment. On Friday June 15, Haoyan of America filmed the performance in 360 video at Freshkills Park. The video will be displayed as part of an upcoming Field R/D group show at Studio + Gallery opening in September. Mary Mattingly’s “Four Spheres” is an arrangement of four circular pollinator gardens with connective walkways that create an aesthetic experience and provide habitat for pollinators such as bees, butterflies, and birds. Pollinator populations have been in decline in recent years, with honeybees experiencing colony collapse disorder due primarily to a class of pesticides known as neonicotinoids. With this in mind, Four Spheres aims to serve as an organic food-heavy wildlife corridor to provide increased habitat for pollinators. The garden is ultimately envisioned for the interior of Freshkills Park, but is realized at the Freshkills Park Studio + Gallery garden as a pilot project. The Department of Sanitation donated 25 cubic yards of compost from their residential food waste collection program and the NYC Parks Greenbelt Native Plant Center provided native plants for this project. Plants were put into the ground in late June/early July and the garden will continue to grow over time. Along with the temporary installations and performances, Field R/D has been widening the artist discussion to the New York City community through events and exhibitions. This includes a fair booth and panel discussion at NADA in March, a presentation at Open Engagement in May, a lunchtime discussion session at the Reclaimed Lands Conference in June, and an upcoming talk at the Shelley and Donald Rubin Foundation 8th Floor space in September. This project was made possible with the support of the Shelley & Donald Rubin Foundation Art and Social Justice Grant Program.